English Education is offered through the Division of Teacher Education and the Division of Language and Literature in the College of Humanities and Social Sciences. The English Education degree at OBU provides our students with the opportunity to develop knowledge in their content, to learn about a variety of pedagogical theories and practices and to apply those theories in a classroom practicum. The major functions as a double major, with 39 hours in English courses and 32 hours in education courses. Upon completion of the BSE and the passing of Oklahoma’s Certification Exams, English Education majors will have all the qualifications necessary to procure an Oklahoma teaching license. An English Education degree at OBU is special because we emphasize the importance of showing God’s love to students. This showing manifests itself by developing teachers who set high expectations for students and refusing to abandon students if they do not meet those expectations. While qualifications and professional experience are important, our faculty also believes it is important to remind our majors that their students are worthy of knowledge, devotion and love. What makes an OBU English Education, Secondary degree special? Our English education majors receive survey foundations in English and American Literature and choose two from among four genre courses (poetry, fiction, drama, film), especially useful for those who plan to teach high school language arts. 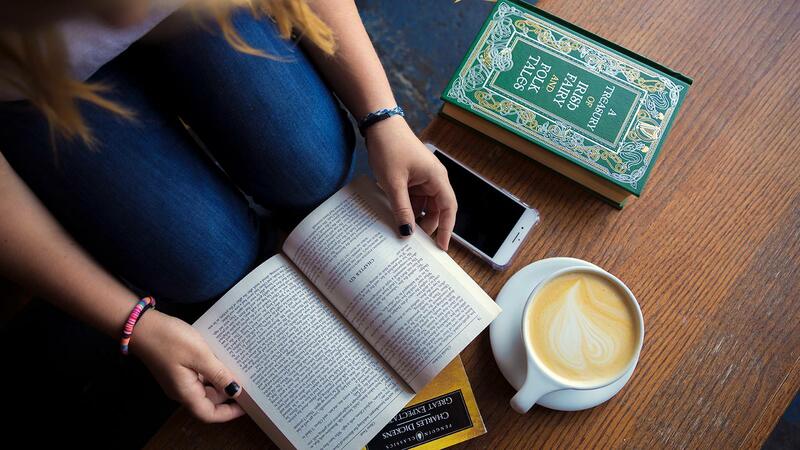 At the junior-senior level, students choose at least one from among several “Major Authors” courses, which feature more intensive studies of selected authors or periods. In addition, there are some requirements in other courses, such as creative writing, advanced composition, linguistics, and Shakespeare. Our seniors normally score in the top five percent in national assessment tests. A very active Sigma Tau Delta (English Honor Society) plans a variety of events, most notably a Christmas party and an annual spring picnic. During the past several years, five to ten of our top students have been selected to present scholarly and creative papers at the national conference of Sigma Tau Delta. What are OBU grads doing with their English Education, Secondary degrees? Currently, our OBU graduates in English education are teaching all over the state of Oklahoma, while a few have teaching jobs outside the state. The vast majority of our graduates have a job in teaching upon graduation. Learn more about our Teacher Education faculty.